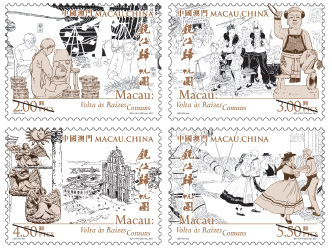 Stamp Issue "Macao: Back to Common Roots"
Macao was known as “Keng Hoi” (Mirror Sea) in ancient time. 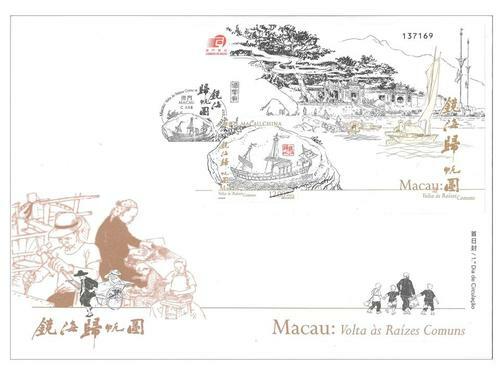 The “Macao: Back to Common Roots”, created by Lok Hei in the format of Chinese traditional scroll painting, depicting a place where East and West meet since the Ming Dynasty until present. 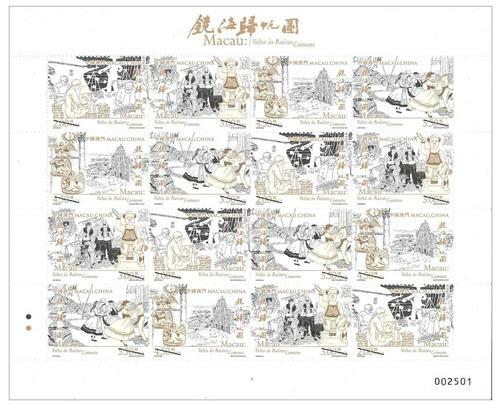 The 100 meters long fiber pen drawing links closely together the outstanding and representable events and elements. 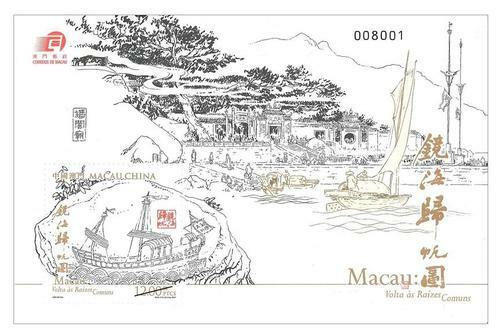 The painter’s pure sentiment as an artist who was born and grew up locally, it recreates the historical scenario of Macao evolving from a small fishing village to become urbanized, modernized and globalized, exhibiting the unique spirit and cultural features of Macao, with epochal significance. 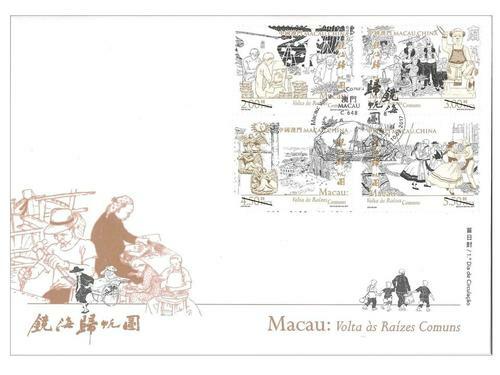 Macao Post and Telecommunications Bureau will issue the stamp theme “Macao: Back to Common Roots” on 10th February, 2017. 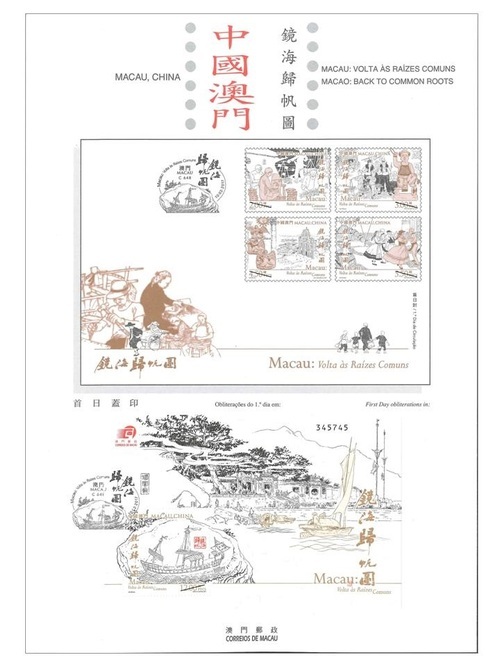 This issue includes a set of four stamps and one souvenir sheet, the iconic architectures of Macao from the most prominent in the scroll painting are selected as the stamp images, the “A-Ma Temple” and the “Ruins of St. Paul’s”. Although the “Yang Chuan Shi” (Stone of Western Ship) of the former one and the stone carving “Angel” of the latter one represent different believes and religions of different nations, they have the same pursuit of a brilliant lifestyle. Also, the “Firecrackers Making” and “Woven Rattans”, etc., display the living scenario. While the “Feast of Na-Tcha and Parade” that goes through the main streets and small alleys in the city, or the Portuguese folk dances that people sing along the journey, they also reveal the local customs of the small city. 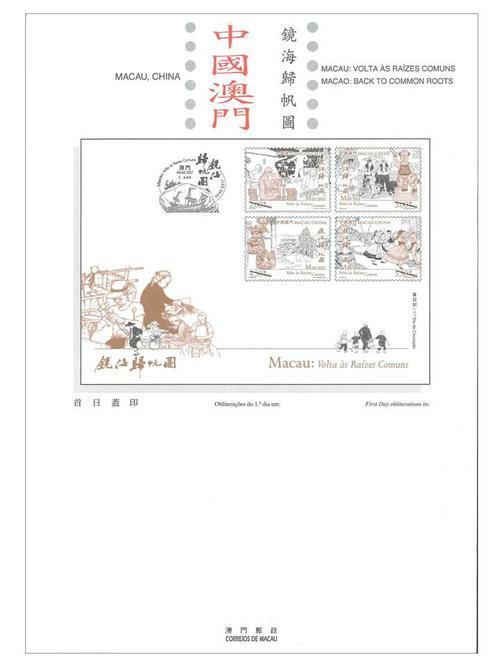 The stamp designer of this issue is Mr. Lok Hei, and the text of the information brochure is written by Mr. Chan Kai Chon. This is the second theme in 2017. 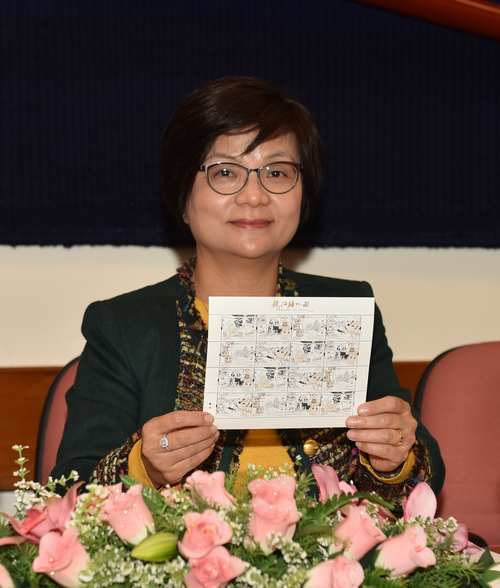 The previous issued stamp is “Lunar Year of the Rooster” on 05/01/2017. 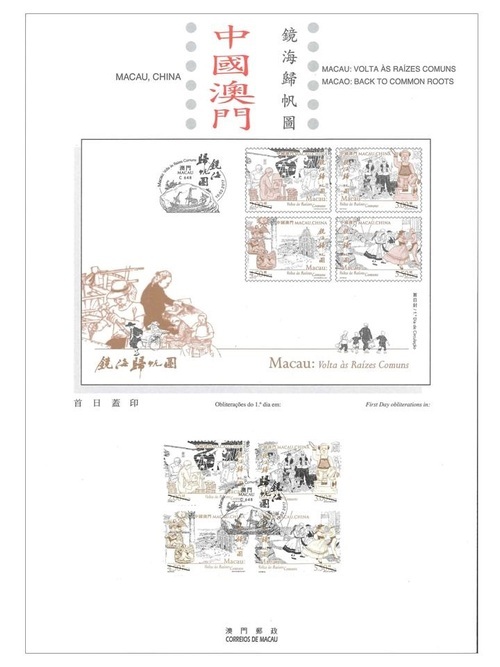 Technical Data of Stamp "MACAO: BACK TO COMMON ROOTS"